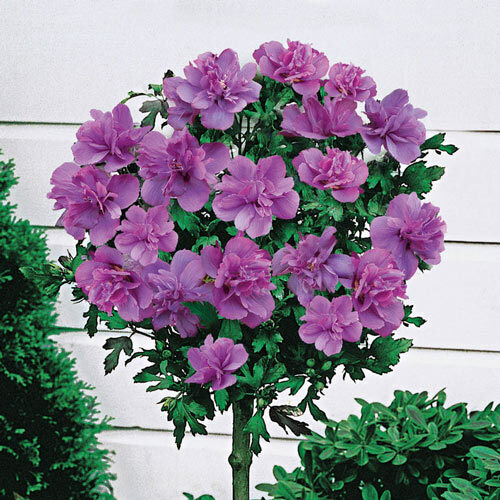 You're in for a real treat with this lovely Hibiscus variety. It produces an abundance of lilac-pink double blooms that provide soft color all the way through summer and into fall. Trained as a standard, its spherical form reaches a petite 4' tall, making it the perfect choice for sunny corners. 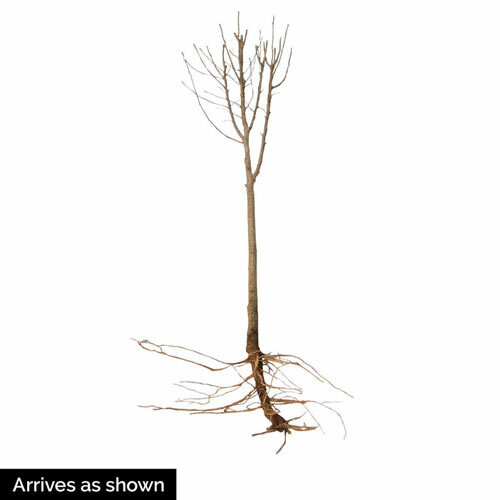 Maintains shape with minimal pruning. Zones 5-8. Ships as 3' Bareroot. Hibiscus syriacus 'Ardens'. Full Sun to Partial Shade. Deer tend to avoid. Planting InstructionsDig a hole large enough to give roots plenty of room. Build a mount at the bottom and place roots over it. Position the plant so the previous soil line is even with the ground level; the trunk will be darker in color below the original planting line. Foliage TypeStrong green, maple-like, deeply tooted along margins. Late leafing in spring. Unique CharactersticsThis variety was selected for outstanding form and garden performance. Not to be confused with 'throw away floral mini-roses', this miniature rose has good disease resistance, winter hardiness and is low maintenance because of its ability to 'self-clean'. Add a pop of vibrant color to a garden setting or patio pot. Rich golden yellow blooms are the perfect compliment to the rich green foliage. Each bloom takes on a pinkish blush to the edges of the petals as they age to create a two-toned look. Blooms can last on the plant for up to 3 weeks and 3-5 days as a cut flower.